EXPERIENCE: We've been running tours ourselves since 1999, in India longer than any other British company. We deliver because we know what we're doing. SAFETY: All our Asian tours are accompanied by experienced guides, plus mechanics and a professional medic with safe and sophisticated equipment. NUMBERS: We limit tour numbers, according to each tour. Refer to individual tours for maximum numbers. ACCOMMODATION: Eat and sleep in the best locations. We'll take you closer to a country, without skimping. BIKES: Our Indian and Nepali bikes are standard Royal Enfield Bullets; all in excellent condition and scrupulously maintained by staff mechanics. 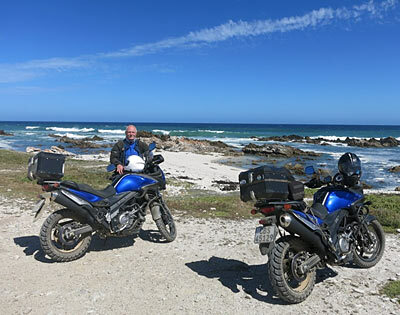 In Africa, our 'base' bike is Suzuki's DL650 V-Strom (2014-models), with a selection of recent bikes from the BMW GS range also availabe. FUN: You'll have a lot of it. Our destinations are incredible and, for many, a life-changing experience. 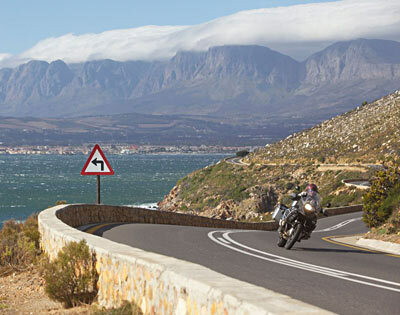 We love bikes, we love our tours – and we're sure you will too. 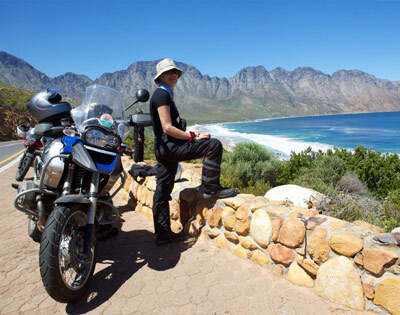 ROUTES: Every route has been meticulously researched to show you the best riding and cultural experiences each destination has to offer.  PEACE OF MIND: We are bonded with ATOL (No 10507) to comply with the Package Travel Regulations, so your money is protected. DAMAGE: No charges for accident damage in India and Nepal. Elsewhere, we promise to be reasonable, fixing bikes in-house where possible. 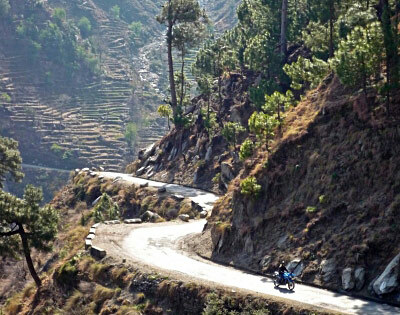 I did the shimla to leg trip in July , great trip fantastic scenery,great group of people. The trip at times was hard going and made you wonder why you were doing this , great feeling of achievement at the end. Adam and Kate, Ian the medic, Jamal and Javed were all very helpful. Did not think I would like to go back to India but looking back now I most certainly would. Trip of a lifetime. There were a few issues with the management side of blazing trails which I am sure will sort themselves out, contact was more than a little haphazard . Had a fantastic time during through Himachal Pradesh in June 2018 - beautiful scenery, fantastic tour guides Kate and Adam, an excellent medic Ian, wonderful mechanics Javad and Jamal and bus driver extrodinare Sanjev. Highly recommend - the bikes were great and there is nothing like a giant flock of sheep traffic jam on an India road! I would like to thank all who ran the blazing trails tour to Spiti valley June 9th to 23rd,enjoyed every moment despite my limitations and the company of all who travelled with me.I am unsure where to go next!. Just finished the Spiti valley tour. Absolutely fantastic. The Blazing Trail team really looked after us. 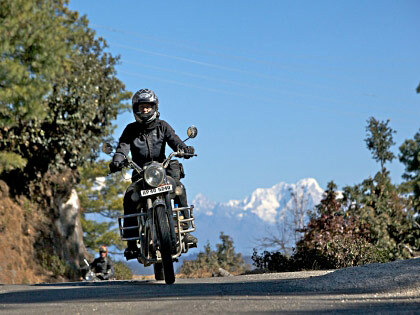 If you enjoy motorcycling Adam and Kate really go out of there way to give you an interesting and challenging ride. The rest of the team Javed Jameel sajad and Ian (medic) are all gr8 As well. Just back from the Lesotho Tour. In my opinion, Lesotho has the best roads I have ever ridden. Race track quality roads with epic views that last for hours. Very little other traffic, no police or speed cameras in the highlands. 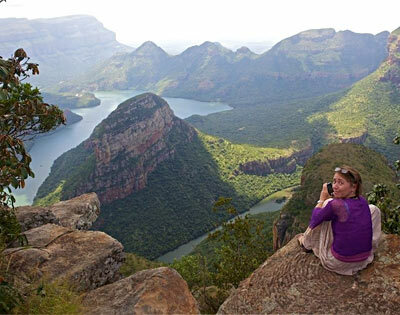 Lesotho has the epic mountain and Canyon scenery, South Africa has the beautiful coast and grand desert views. The dirt road sections (especially Sani Pass) were also superb. You need to do Sani Pass before they tarmac it. The wildlife is impressive although this tour is not aimed at this. The accommodation was all excellent, really plush for a Blazing Trails Adventure. We used the Suzuki DL650 Vstroms, which were brilliant little bikes. The most comfortable bike I have ever ridden. They are lively enough on the twisty stuff and surprisingly grippy on the dirt. I was wary of visiting South Africa after listening to all the media stories about crime and mugging etc. but we did not experience anything even slightly threatening, quite the opposite. Thanks to Suzie (for putting up with my complicated plans), Damon for leading the tour and sorting out the extra activities before the tour and Doug the support driver. In summary, Lesotho is a hidden gem, go there before it gets busy. P.S. The exchange rate is good, so everything is relatively cheap. R. J Evans, Suffolk. Just got back from the Leh to Manali tour. It was genuinely one of the best trips I have ever done. The scenery was unbelievable and the riding was absolutely brilliant. Mile after mile of perfect winding mountain roads, broken up by sections of gravel, sand and river crossings. The Enfield coped surprisingly well with everything I threw at it and never missed a beat. The riding was pretty challenging at times, as was the effect of the altitude, but that just made it all the more rewarding. The guides and support crew were awesome. Considering how remote the locations were and how unreliable the Indian roads could be everything ran pretty much according to plan. The few small problems we had were sorted out with minimal fuss. The accommodation was sometimes basic but comfortable enough and the food was generally good if not a little monotonous at times (lots of dhal). The local people were incredibly friendly and helpful. I could not recommend this trip more to anyone who fancies a bit of a challenge. Hard to describe how good the riding is in Lesotho. Day after day of the best bends through the mountains on good tarmac with a few bits of dirt thrown in. 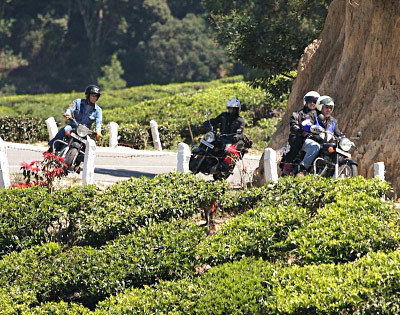 The friendly company and laid back but effective Blazing Trails organisation make for a great riding holiday with a touch of adventure. The incredibly friendly locals just add to the experience. Its my 6th trip with the company, which I suppose gives an indication that I would advise anyone looking for a trip with a bit of a challenge to give them a try. 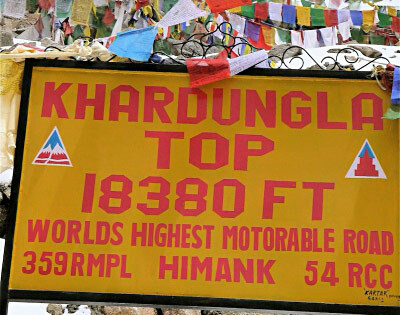 Did the Manali to Leh tour back in 2012, SUPERB, had a wonderful trip, I have been around the same areas before with two other groups, one was 'bitty' and the other was far to 'regimented', and became an Endurance race towards the end. But Blazing Trails was a finely tuned tour, not too excessive on its mileage so as to stop and smell the roses (amongst other smells), and hear the countryside, a well thought out route, allowing a day here and there to see more of an area and take in local culture, And the hosts and backup crew are perfect, so they don't need to change a thing in the way they operate, If fortune smiles on me again to venture out on another adventure tour then I know who i'll be travelling with....BLAZING TRAILS. Cheers Guys, and Gals. Damon, Suzie, Adam, Jamal, Ramji, and Doc 'good bacteria'. 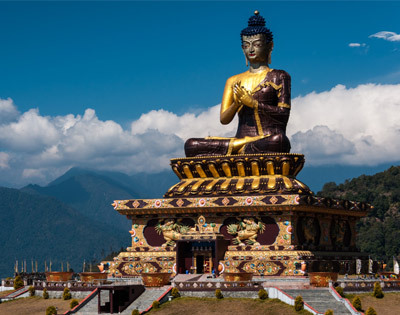 We did the nepal tour in November and it is the best trip i have ever been on, the guides and support team were brilliant and we met a great bunch of people from all walks of life that we are still in contact with. To top our trip off me and my partner got engaged whilst in Nepal and are now looking to book another trip with bazing trails after we have paid for the wedding. Would absolutely reccomend this to anyone who wants to ride in these countries as it is the best way to view it and the team really put in a lot of effort to make it an amazing experience. Thanks blazing trails, until next time. Had the absolute best two weeks of my life on a tour of Himalach Pradesh with Suzie, Damon and their brilliant crew. Great mix of hotels/eateries, bikes great fun (um, still embarrassed about breaking 'my' beautiful Enfield. Incredible roads (Rohtan Pass). Totally recommend to anyone who loves fun. Really looking forward to joining them again. Thank you!